A signature selection of gourmet cubes in 6 different collection themes: Adorable, Chic, Cocktail, Glamour, Sublime and Vintage. A Gourmet signature box to showcase six (6) Chocosina collection cubes. 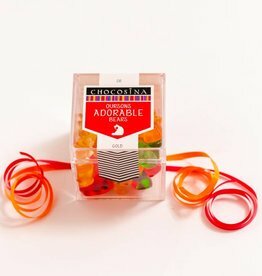 A Gourmet signature box to showcase three (3) Chocosina collection cubes.